Here at DystopianMovies.org we celebrate an enduring and much loved genre. 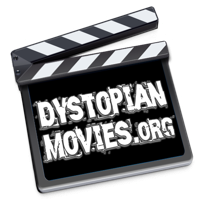 Dystopian movies are filled with political intrigue, satire, social commentary, apocalyptic portents, scary futuristic technology, uber-villains and eclectic heroes. What’s not to love?! These are films to make you think; films with agendas, subtexts, ideals, dangerous philosophies, propaganda; films that challenge the traditional views on how the world works, that question where society is going and how it will get there; films designed to provoke a reaction, to make you question your values, to make you question their values. If this is what you’re looking for, you may find something here that will be ideal for your next film night. A work describing such a place or state.